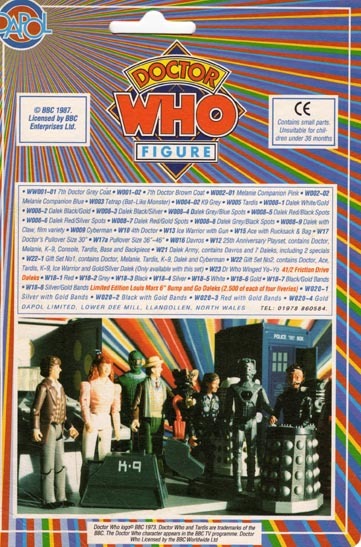 It was after some years (1997 to be precise) that Dapol resumed their releases. It’s possible that the TV Movie in 1996 kicked things off again. 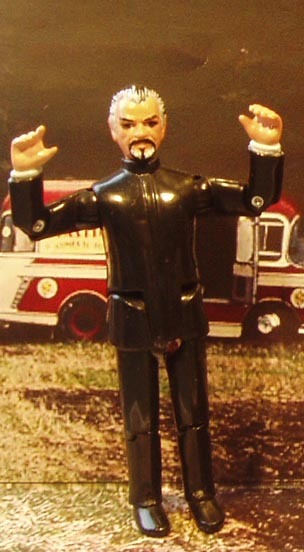 Certainly the Master had been on the cards since the early 90s and a prototype was spotted at a convention in 1993. It’s a nice figure, well sculpted and with a good paintjob that strongly suggests the original Delgado version especially with his dark hypnotic eyes. The figure is well articulated with the standard neck, shoulders (ball joints), hips and knees. It’s a shame he wasn’t released with a TCE weapon as his hand is sculpted to be able to hold something. 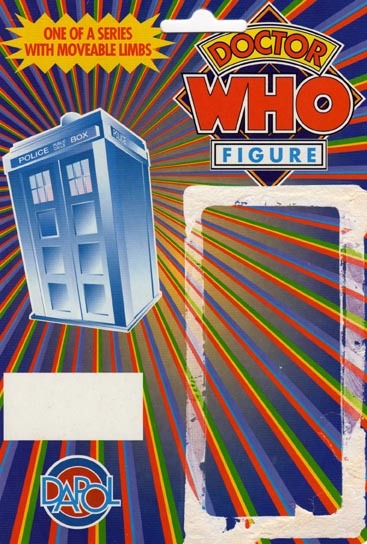 Beginning with the Master, figures were released on a new generic card using the classic diamond logo and curiously no name for the figure.